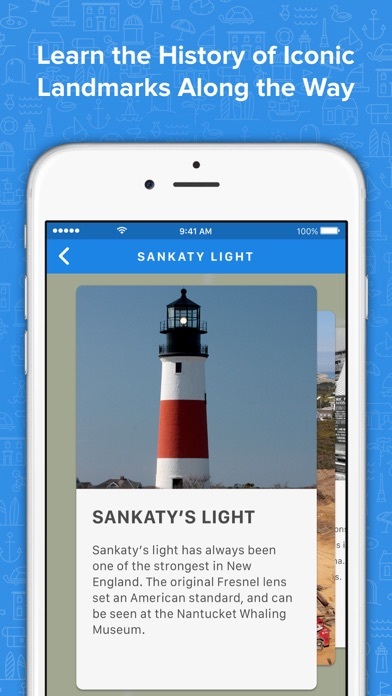 Transform your downtown stroll or Island-wide bike ride into an insider’s tour of Nantucket! 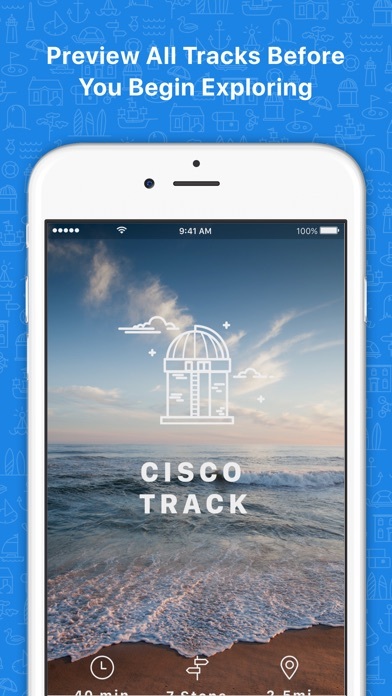 Tours are self-guided-you decide when to take a break, and easily pick up the track when you’re ready to get back to it. Nine curated tours — one on foot and eight by bike — take you to popular must-sees and spots best known to locals including: • great beaches • the sites of spectacular shipwrecks and rescues • working cranberry bogs • historic homes from grand brick mansions to fishing shanties • Nantucket’s own Serengeti • the headquarters of the mysterious Wharf Rats • landmark lighthouses • the picturesque village of Sconset • the hip SOMA district and Petticoat Row • the fascinating histories behind the places you pass • the scoop on where to refuel and refresh. 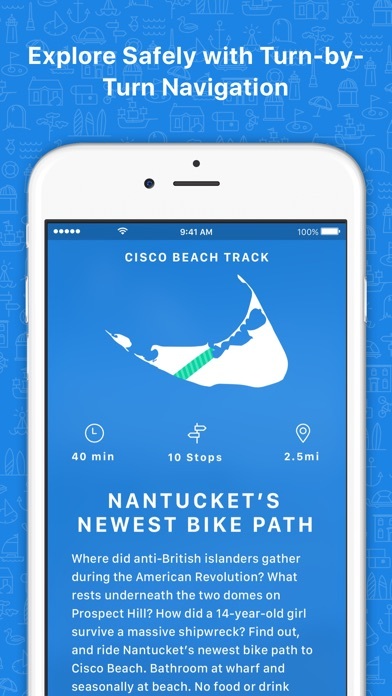 This app is beautifully laid out for the various bike paths on Nantucket, however I could not get the audio to function. Also the tracker never progressed beyond the the start area, I had to manually scroll to find my actual gps position :( Nice effort, maybe a few upgrades will get this app functioning for next spring. 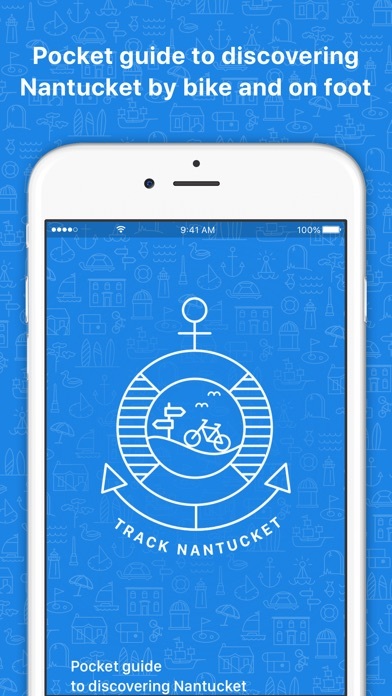 Bought the app to guide us on a bike trip on Nantucket. 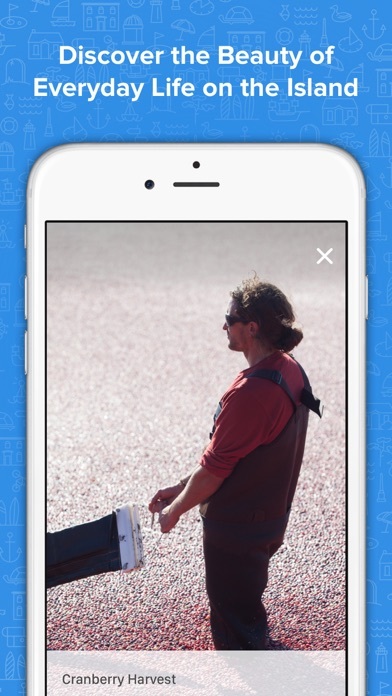 I found the app difficult to use. Once you choose a destination it’s challenging to figure out how to get back to the main page to choose a different destination. I thought the app would provide some kind of audio guidance or information while I was riding but all it did was track my location on their map. We ended up using the free map from one of the bike stores instead. Not worth the $2.00. I have ridden many times in Ack with map in hand and thought this would set me free. Alas I couldn’t get the audio to function and didn’t get any directions or local knowledge. Back to drawing board people!